The Manhattan 66 is a stylish and yet spacious boat for its 66 foot length, with a large open planned fly bridge and a raised forward positioned saloon, both give great seating areas with views all around. 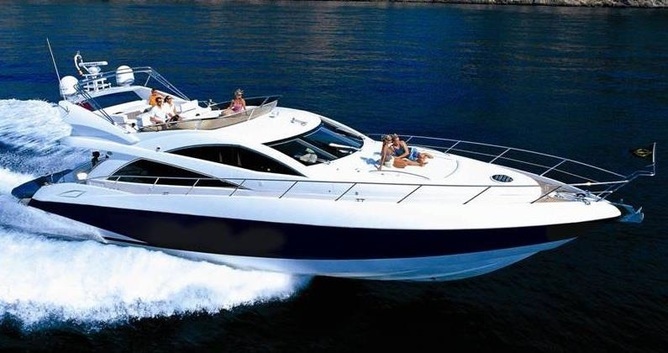 Its sleep Sunseeker styling give it a ‘WOW’ factor and always looks the part whether at sea or moored alongside. Comfortable with 12 guests on board this yacht is the perfect mid range boat from which to entertain your guests.